Charlie is a maintenance streetcar. He is small and clunky and definitely not as shiny as the other cars. He spends his days laying sand on the rail lines or repairing the more popular streetcars. He doesn’t feel valued or liked by the other streetcars, and his hard work is often overlooked. It takes a series of emergencies for the other cars to learn that sometimes the person you never notice is exactly the person you need! 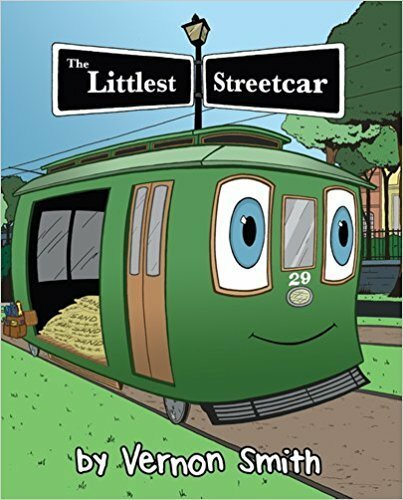 Author and illustrator Vernon Smith takes his love of iconic New Orleans streetcars to another level in this picture book for everyone who has ever felt left out or ignored. 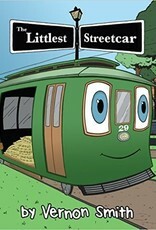 Charlie might be different from the other streetcars, but being different is what makes him special. Vernon Smith has been creating art since he was able to hold a pencil. He provides graphics for a wide variety of businesses through his studio, MacFearsome Comic Squares. A graduate of the New Orleans Center for Creative Arts, Smith earned a BFA from the University of New Orleans. He has worked on several comic-book series, including his own The Adventures of Dexter Breakfast and the successfully crowd-funded Hide. When not creating, Smith focuses on his most important role—being a father.